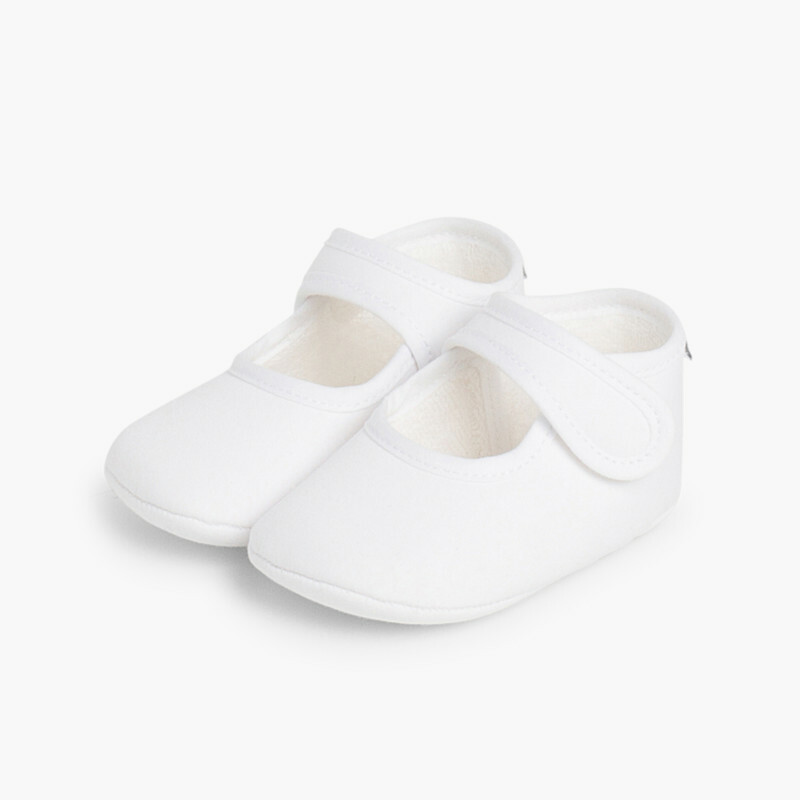 This light Mary Jane style shoes are carefully designed for your baby's comfort with velcro ankle straps. 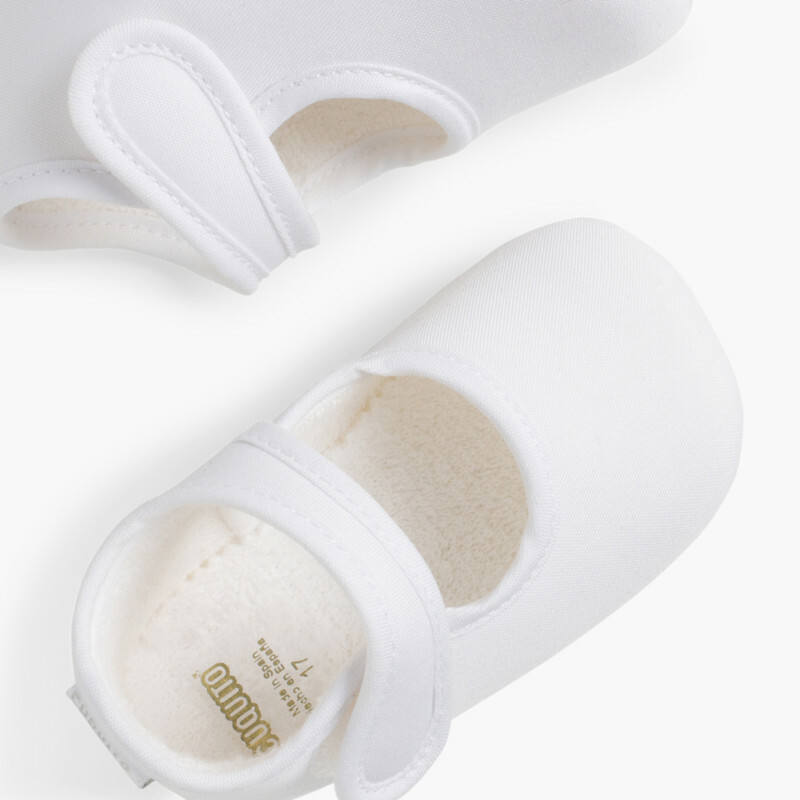 Made of the finest materials and cotton lining inside for a better breathability. 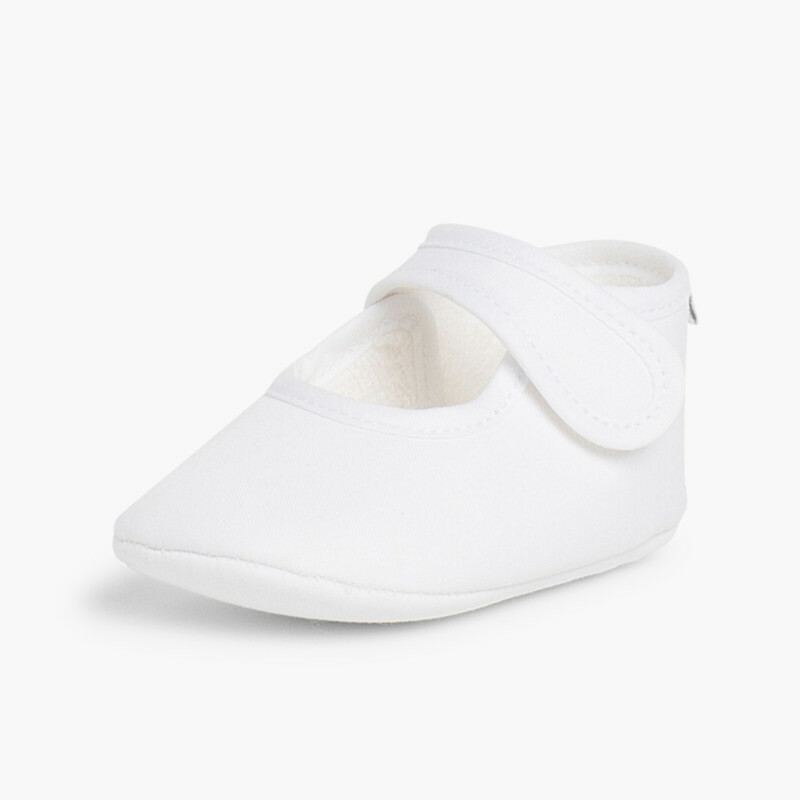 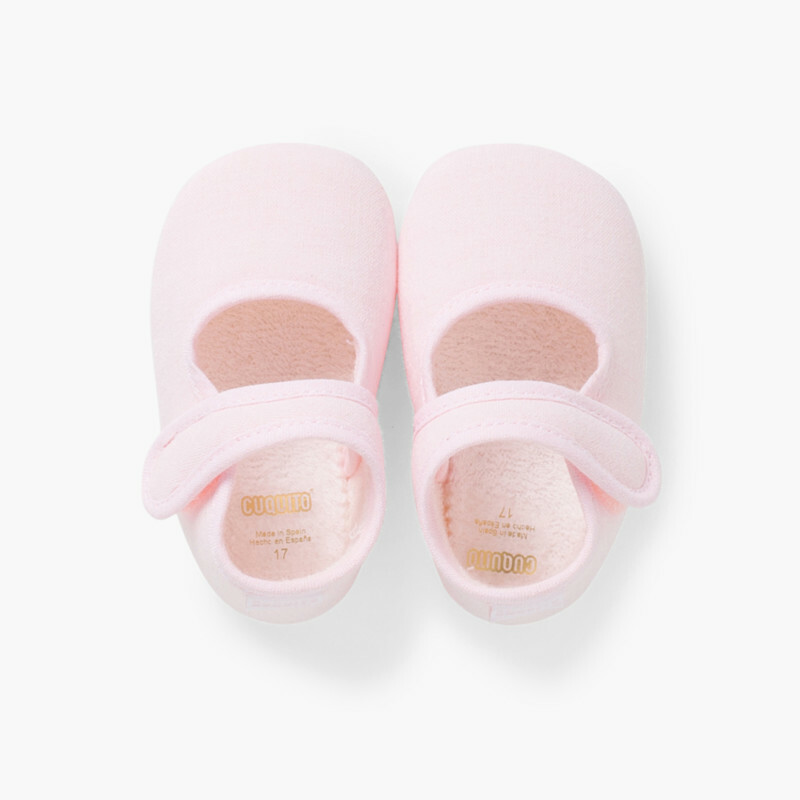 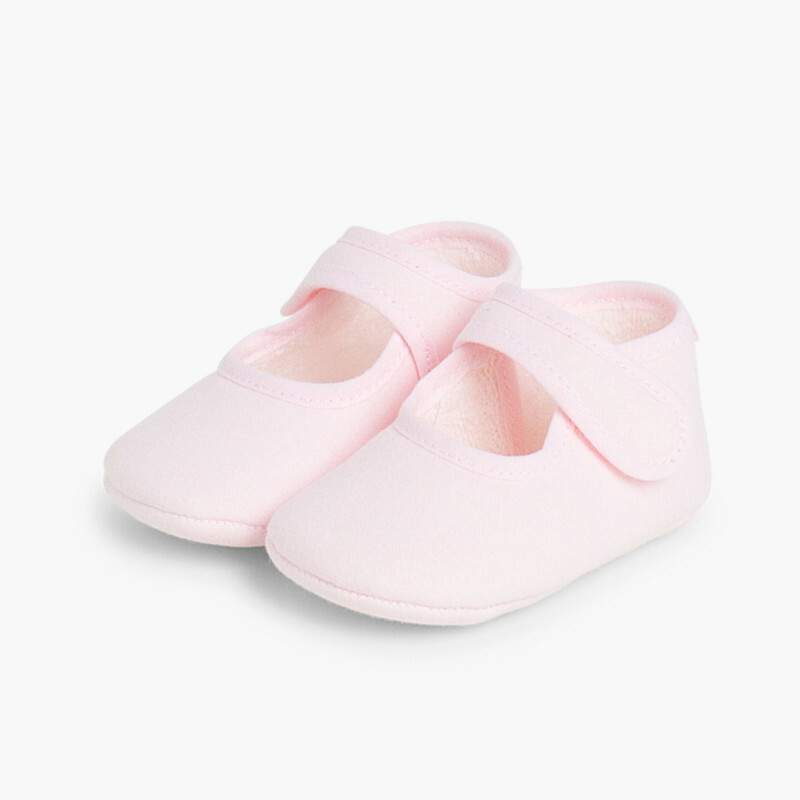 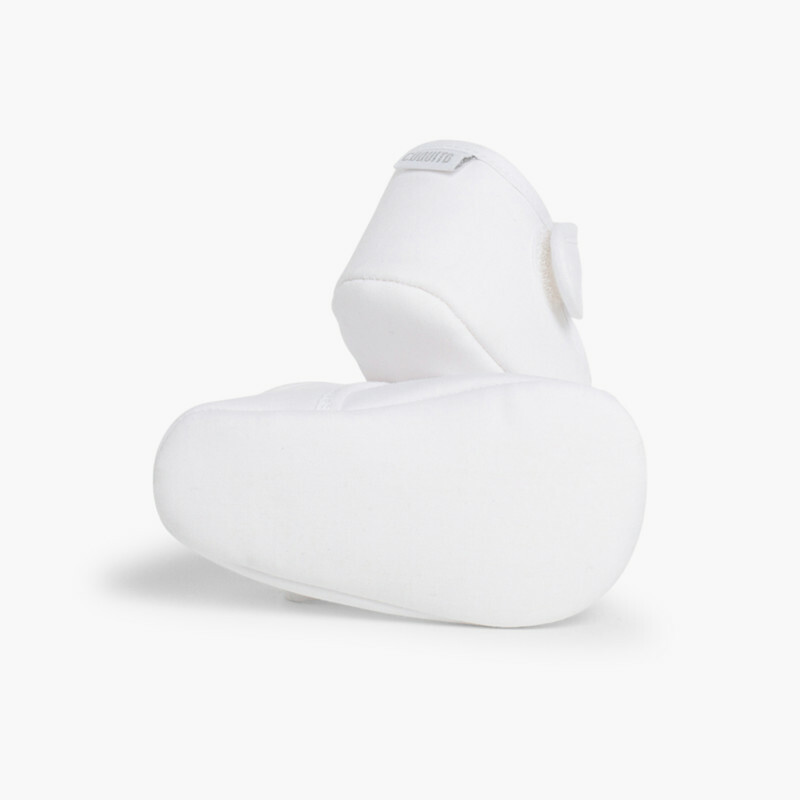 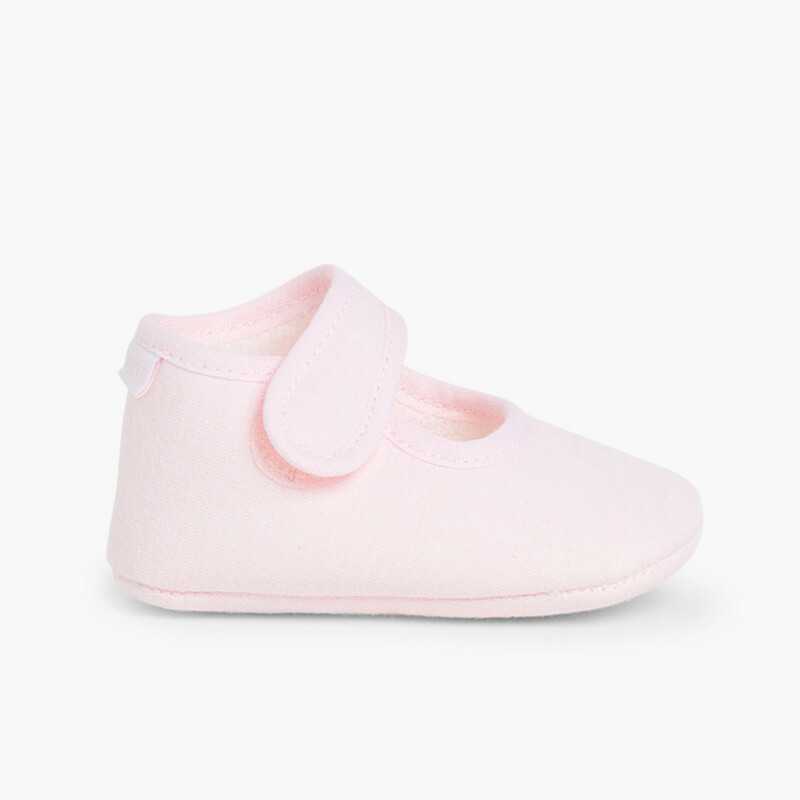 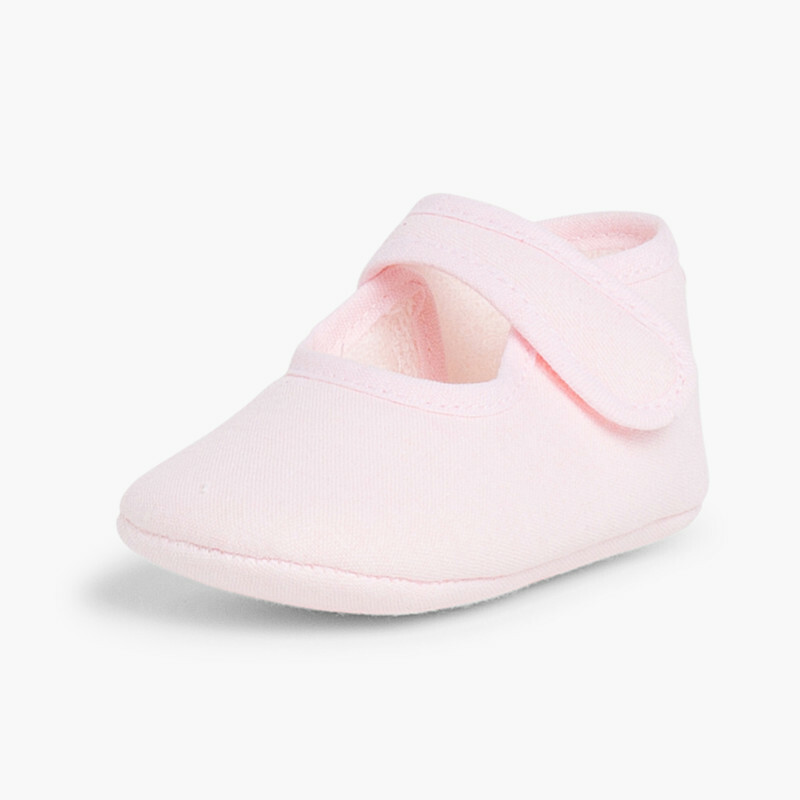 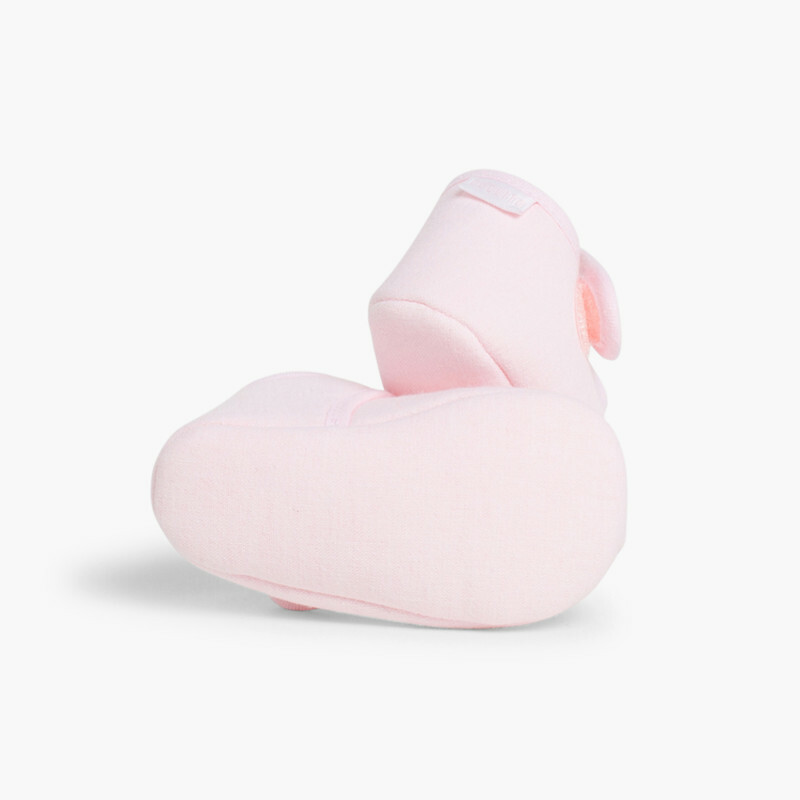 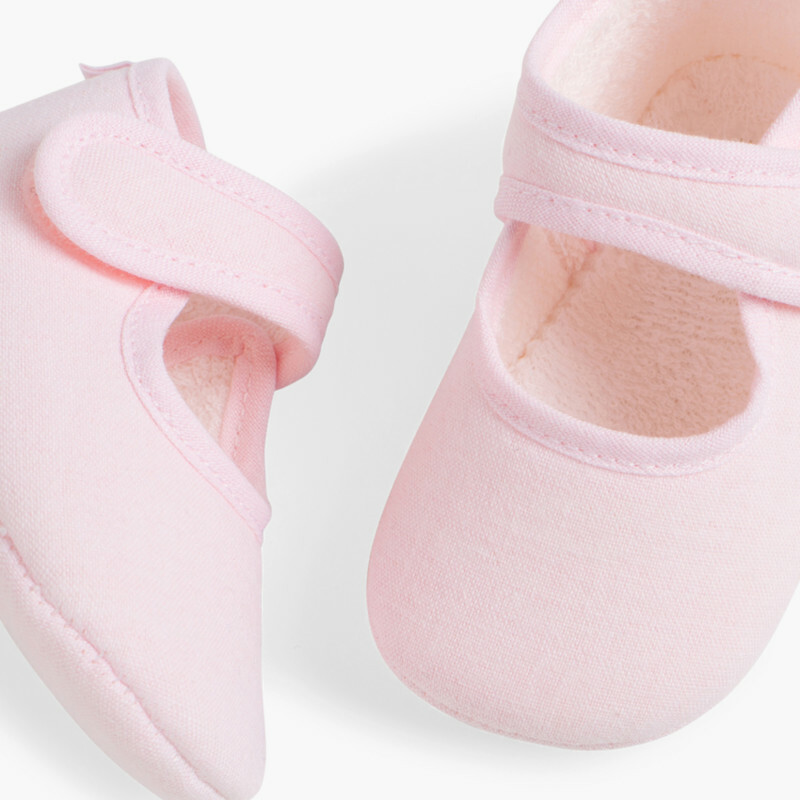 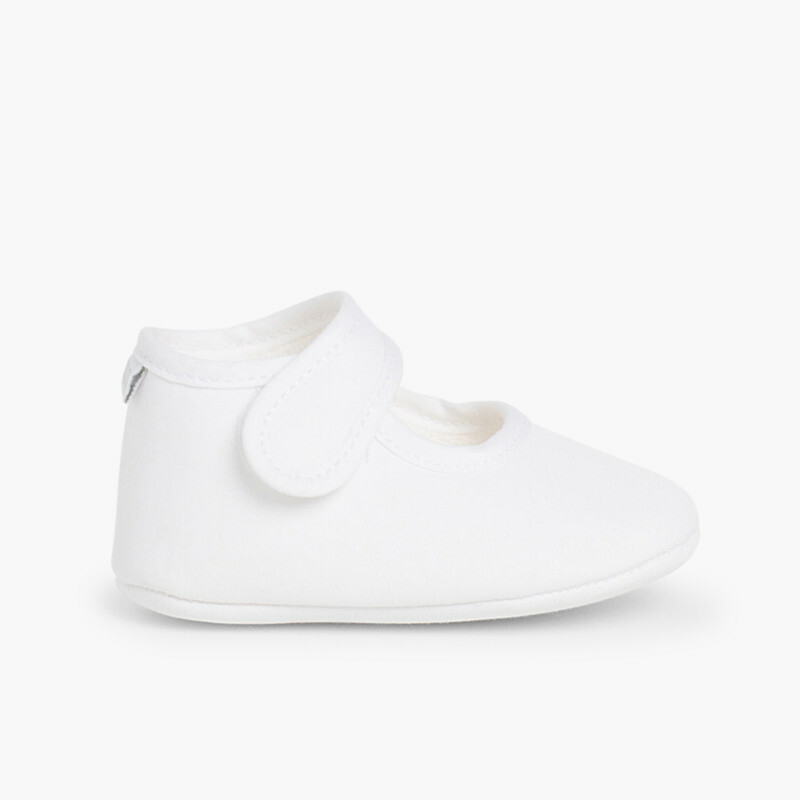 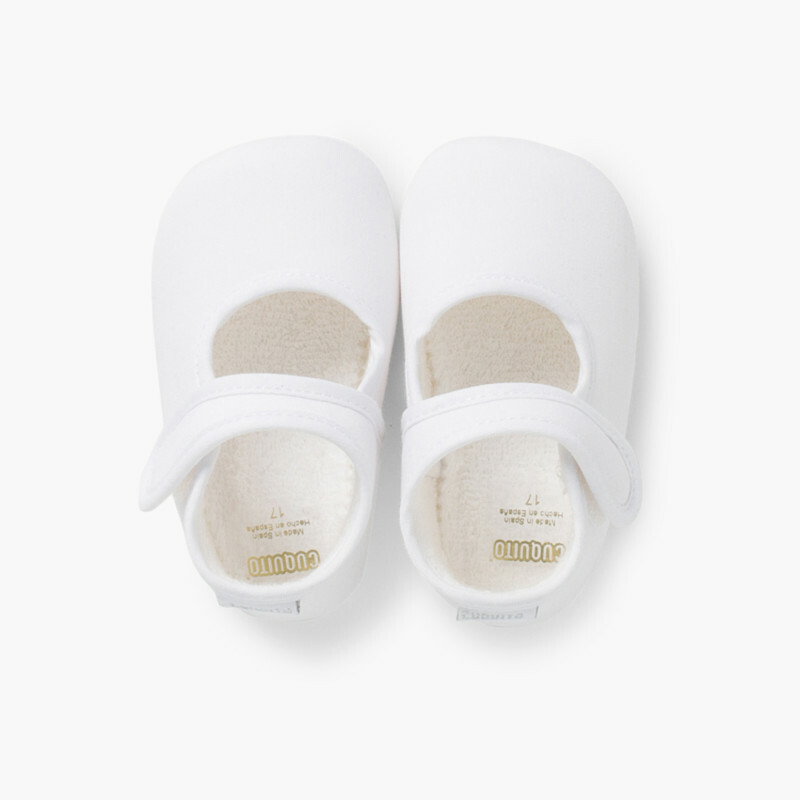 This soft fabric shoes are comfortably padded and have no seams, avoiding to hurt the baby's fragile skin.